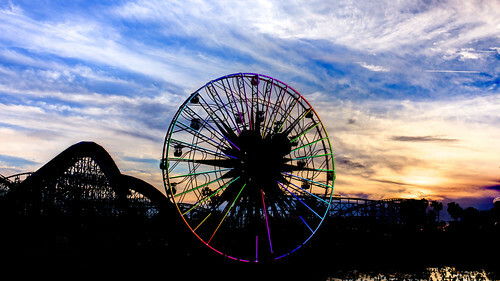 Trying my hand at HDR and composite photography, I had this idea to combine a photo of Mickey’s Fun Wheel at Sunset with the rainbow LEDs that light up after dark. I grappled my gorillapod onto the railing at the bridge connecting paradise pier with the world of color viewing area and started taking photos. After about two hours I had everything I needed and went home for many more hours of processing. It may not be as top notch as the true pros, but I’m happy with how it turned out given how rarely I try this kind of thing. The Original Omnitography →← Announcing Omnitography.net!